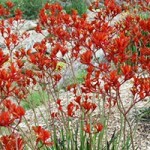 Flower Valley Conservation Trust is an NGO situated in the Agulhas Region. 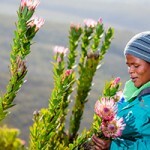 The Trust works to protect Fynbos landscapes, improve livelihoods and nurture young children and women. To establish and maintain food, discovery gardens and trails on the Flower Valley Farm and conduct food security capacity building within the home and centre based Early Childhood Development Programme. Explore micro enterprise development opportunities within the gardens context. Preference given to candidates with experience and or qualification/training in organic/regenerative agriculture, permaculture and horticulture. Please send your CV, a cover letter, and two contactable references to ecdadmin@flowervalley.co.za or fax 028 425 2855. For more information, contact 079 100 5817 during office hours. To coordinate the Milkwood programme, a 0 – 4 years’ play-based learning programme, in regard to curriculum, on-going programme reviews and development, coaching, training and teacher development and supporting centres and learning resource access and praxis. Work with relevant stakeholders and partners to ensure the appropriate resourcing, equipping, management and appropriate use of the centres’ indoor and outdoor learning environments and holistic development of ECD practitioners.